Cerumen refers to wax in the ear canal, which can interfere with hearing or clog up hearing aids. If this is a problem, we are often able to remove the wax for you. If the wax is deep within the canal, or impacted, we may refer you to an otolaryngologist (ear, nose and throat physician). 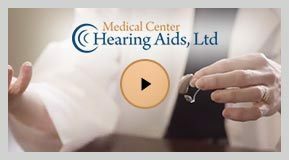 There is a link to the website for Medical Center Ear, Nose and Throat Associates of Houston, P.A., and you are able to contact this group of physicians yourself or we can set up an appointment for you.